Years ago, when "Sea Otter Pup' received an "Our Choice" seal from the Canadian Children's Book Centre, a little boy at a school reading pointed to it--I think he was too young to read--and said, "that means it's GOOD!" 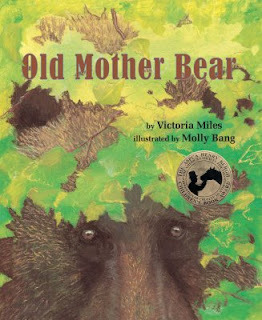 Old Mother Bear now has her own seal of approval, the 2007 Henry Bergh Award from the ASPCA for the category of fiction, ecology & environment. The ASPCA's definition of "GOOD", in Henry Bergh terms, is "to honor books that promote the humane ethic of compassion and respect for all living things." In doing a little "who was Henry Bergh?" research, I came upon this quote attributed to him "Mercy to animals means mercy to mankind." It is one more way we find our humanity, when we extend kindness beyond our own species. I'm so glad "Old Mother Bear" is seen to have done this. So glad.